A perfect unit for a couple or family of three! 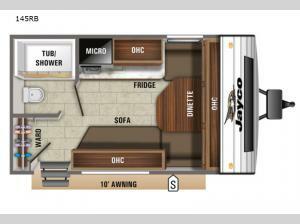 This Jay Flight SLX 7 model offers you all of the amenities needed for a great weekend camping excursion! 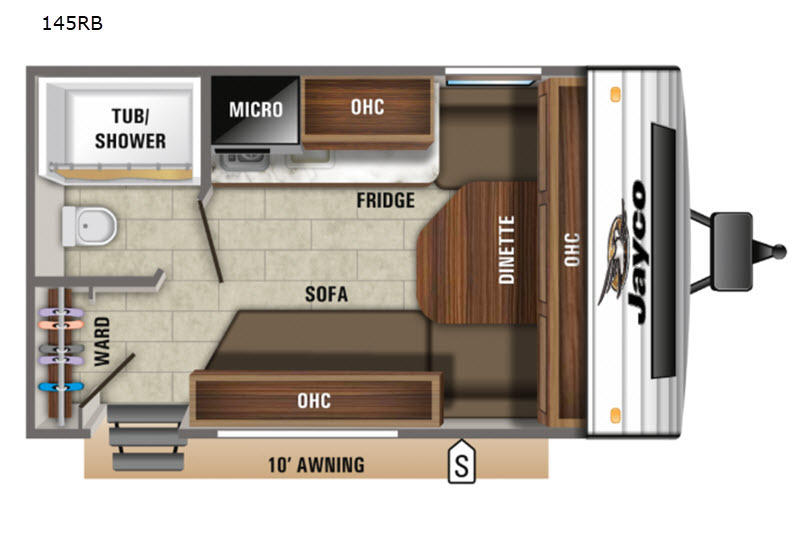 You will enjoy convenient and quick access to the on-board bathroom with it located straight ahead inside through the entry door. A private tub/shower and toilet with overhead skylight make it light and roomy. There is a large amount of seating inside with the front dinette and sofa that extends right into the curbside dinette cushion. This allows you to easily enjoy a meal or games with plenty of relaxing room and a great view out the large front window when you are not outside. Relax easily outdoors with the protection of a 10' power awning that also includes LED lighting for nighttime activities.